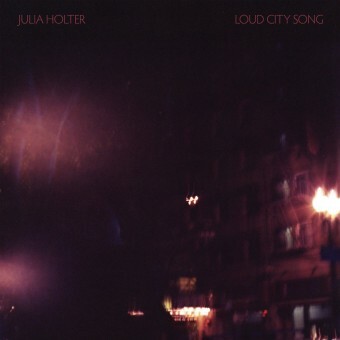 For her third LP Loud City Song, Los Angeles-based artist Julia Holter uses the 50s film Gigi as inspiration for her narrative, exploring her relationship with Los Angeles that swims in celebrity culture. Her protagonist is constantly disguised in “World,” while the tense brass in “Horns Surrounding Me” instills feelings of panic as the lyrics are sung with pace and haste. Escape is eventually found in the upright-bass-driven “In the Green Wild.” “City Appearing” is a diary entry for her observations of the city’s romantic nightlife, singing in soft coos before the percussion, strings, and brass triumphantly reach a post-rock-esque climax. The orchestral arrangements in “Maxim’s I” and “Hello Stranger” are cinematically elegant. “This Is a True Heart” is a nod to her love of jazz, featuring a silky-smooth alto saxophone that mingles with a subtle bass and steady upbeat percussion. Holter’s penchant for stylistic variance is also explicit. “Maxim’s II” and “He’s Running Through My Eyes” represent complexity and simplicity, chaos and composure, respectively. With Loud City Song, Julia Holter has crafted a musical film – nine scenes that exude vivid drama, tension, and emotion to the point of empathy – resulting in her most ambitious, compelling, captivating project to date.